CD45.1 PBMCs come from C57BL/6 congenic mice that express the CD45.1 allele. 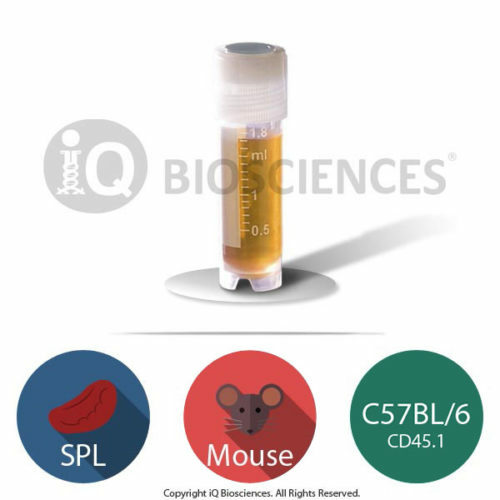 CD45 itself is a protein tyrosine phosphatase receptor expressed on all hematopoietic cells except mature erythrocytes and platelets and is encoded by the Ptprc gene. Wild-type C57BL/6 mice normally carry the Ptprcb (CD45.2) allele while the other (congenic) strain carries the Ptprca (CD45.1) allele on the same C57BL/6 genetic background. 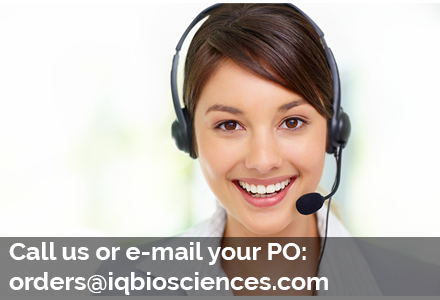 PBMCs from non-human organisms are isolated from peripheral blood collected responsibly at third party facilities. These facilities are vetted to ensure they operate according to local regulations and laws. Since the facility is local, the blood is quickly transported to iQ’s facility for processing. PBMCs are specifically isolated by performing a density centrifugation at room temperature to remove red blood cells. iQ Biosciences performs this process under sterile conditions by using Ficoll, a high molecular weight sucrose solution from GE Healthcare. The result is a perfect layer of mononuclear cells that are separated from plasma, platelets, granulocytes, and erythrocytes. Additional quality control steps are taken to isolate and prepare PBMCs that ensure the highest viability for cryopreservation and downstream experimental applications. CD45.1 PBMCs were cryopreserved carefully using iQ Biosciences’ cryopreservation protocol that ensures high viability (> 80%) after thawing. Cells should be stored at <-120°C once they are received, such as within a liquid nitrogen tank (vapor phase).